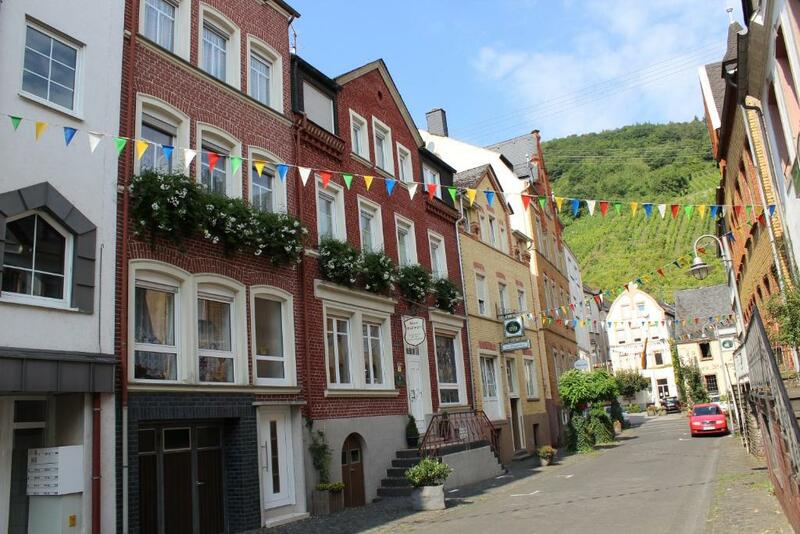 Lock in a great price for Ferienwohnungen und Appartements - Haus Budinger – rated 8.6 by recent guests! The staff was very helpful and friendly. Breakfast had a good selection and was ample for our group. We never finished everything that was provided. 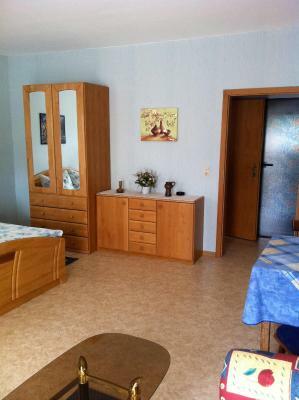 Location is great with quick access to all directions. 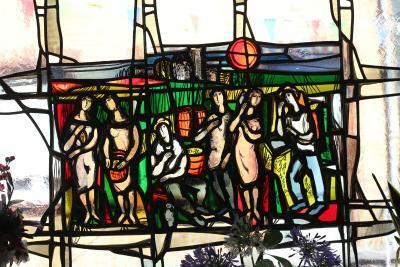 It has a wine bar and a wonderful pizza restaurant near by. It is called pizzeria, but it is a full blown restaurant with a large menu. Great staff there as well. 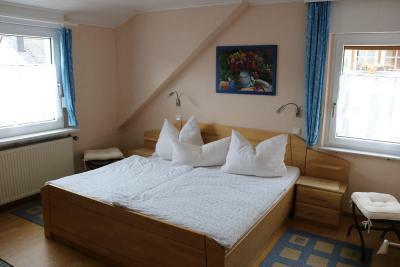 We loved it in Alf in Haus Budinger and would stay there again. 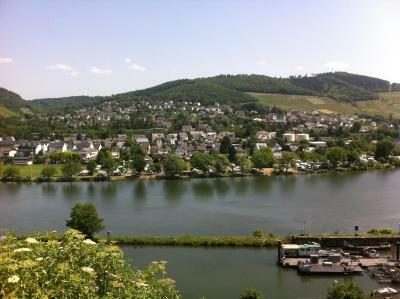 Quiet and centrally located, an base from which to explore the Moselle. 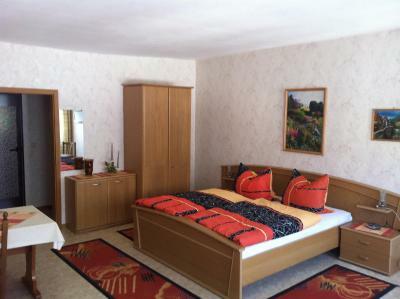 Echt.. Bett war gute Matratze, Zimmer super, Frühstück war liebevoll und abwechslungsreich, tolle Auswahl mit Käse und Speck aus der Region, sehr nette unaufdringliche Familienbewritung. Ontbijt was eenvoudig en goed kamer met balcon was prima gastvrouw was behulpzaam en vriendelijk. Es war einfach alles perfekt. Wir hatten einen sehr schönen Urlaub. Die Vermieter sind super nett, hilfsbereit und lustig. Wir kommen gerne wieder. God morgenmad fin servering perfekte smilende æg lavet af Claudia selv. Gode samtaler, om ideer til oplevelser og næste morgen spurgte Claudia indtil dagen der var gået så meget interesseret i sine gæster. 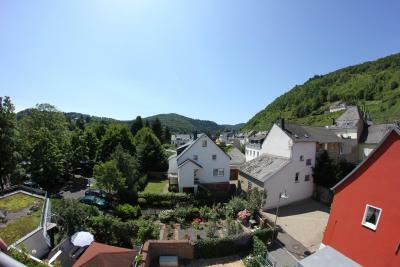 Voll ausgestattete Wohnung mit Balkon und super Ausblick. Alles Top! Sehr freundliche Eigentümer und schöne Gegend. 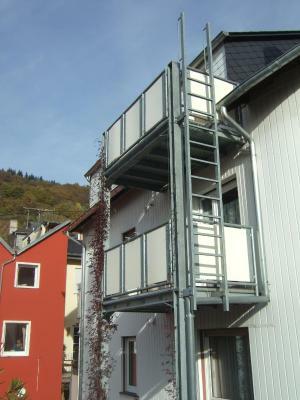 Supermärkte und Bäcker sind in der nächsten Ortschaft (3 km) vorhanden. 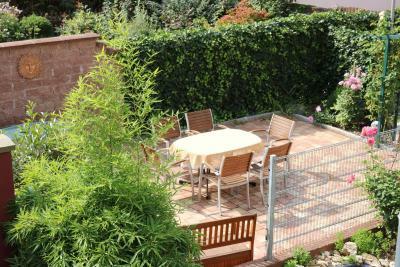 Featuring barbecue facilities, Ferienwohnungen und Appartements - Haus Budinger is located in Alf. 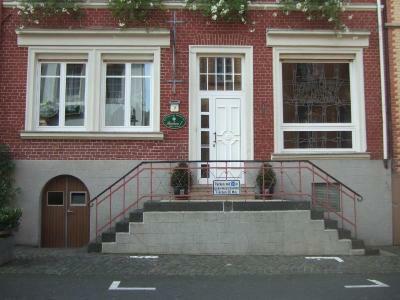 Both private parking and free WiFi are accessible at the guesthouse. 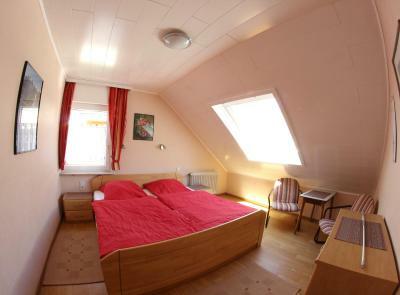 The rooms in Haus Budinger are equipped with an electric tea pot. 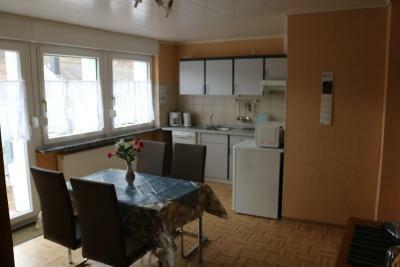 Some rooms are equipped with a kitchen with a dishwasher and an oven. 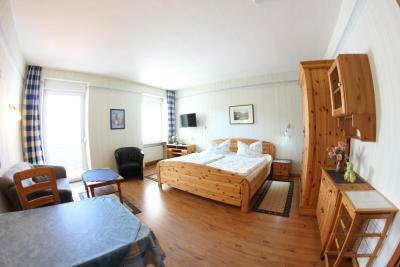 At the accommodation the rooms are equipped with a closet and a flat-screen TV. 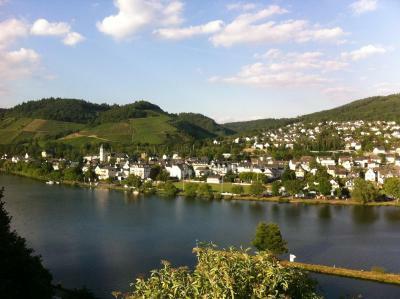 Bernkastel-Kues is 17 miles from Ferienwohnungen und Appartements - Haus Budinger. 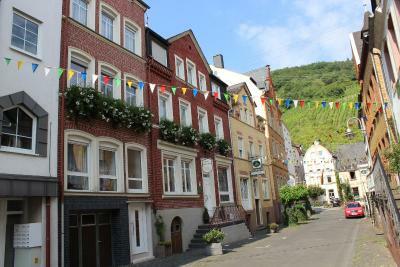 The nearest airport is Hahn Airport, 15 miles from the guesthouse. 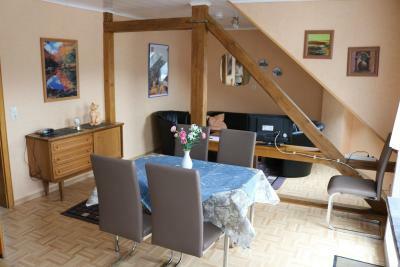 This property is also rated for the best value in Alf! Guests are getting more for their money when compared to other properties in this city. 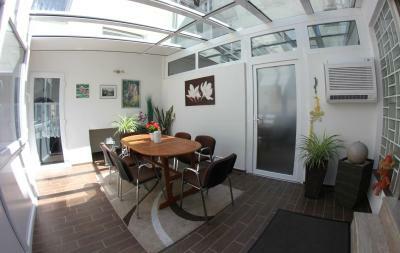 When would you like to stay at Ferienwohnungen und Appartements - Haus Budinger? 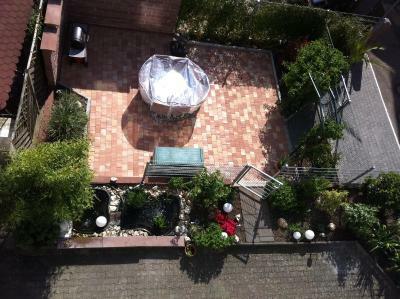 House Rules Ferienwohnungen und Appartements - Haus Budinger takes special requests – add in the next step! 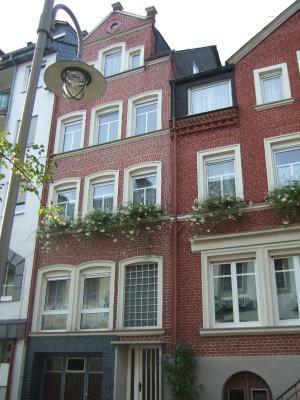 We had an apartment on the 3rd floor (2nd floor by German standards) with a narrow winding staircase that was not the easiest to navigate, especially for older folks.